Pressure regulation and metering system - CEBA S.r.l. 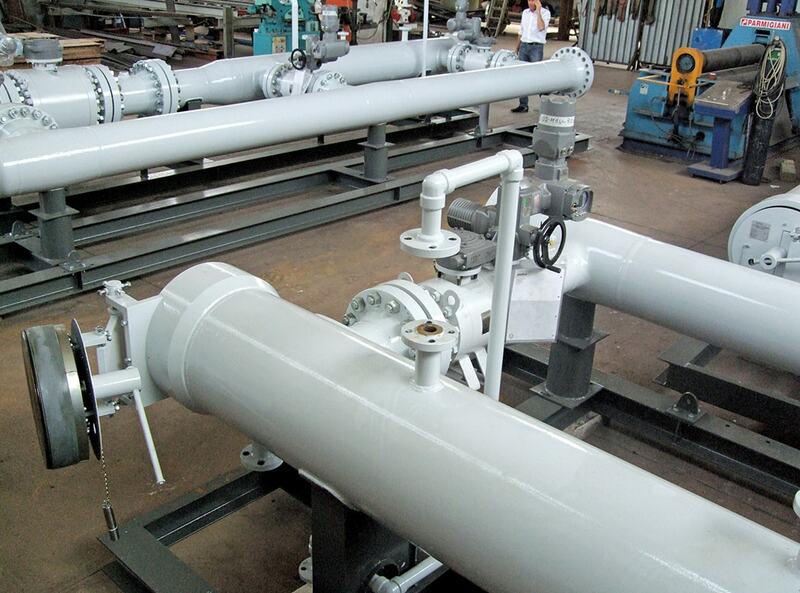 CEBA can provide accurate pressure control skid, according to norm EN 12186, to regulate the natural gas outlet pressure to a setting value. Pressure regulating unit consists of a train of self actuated or piloted valve, composed by a block valve and monitor fail to close valve that give the double barrier against overpressure as required by the latest version of European code. The purpose of the block valve is to guarantee a fast shutoff of the gas line when there is the detection of high/low pressure in the piping system through a pilot o remote signal. The regulating valve gives the full scale (in one step reduction) or the larger range (in two step reduction) of the reduction required. It is in configuration fail to open and it is self operating through a pilot that fill the outlet pressure and, depending from setting point, govern the opening percentage of the regulator. Set point can be adjusted locally in the pilot or, through a transducer, directly from the control room. Monitor valves is a twin of the regulator and it can make a first reduction step where the pressure reduction is very high and not affordable from one single valves or to be fully open. The monitor valve assures gas supply continuity in case of failure of the active regulator; the monitor regulator is normally wide open and in the case of malfunction it is closed in order to regulate the pressure. 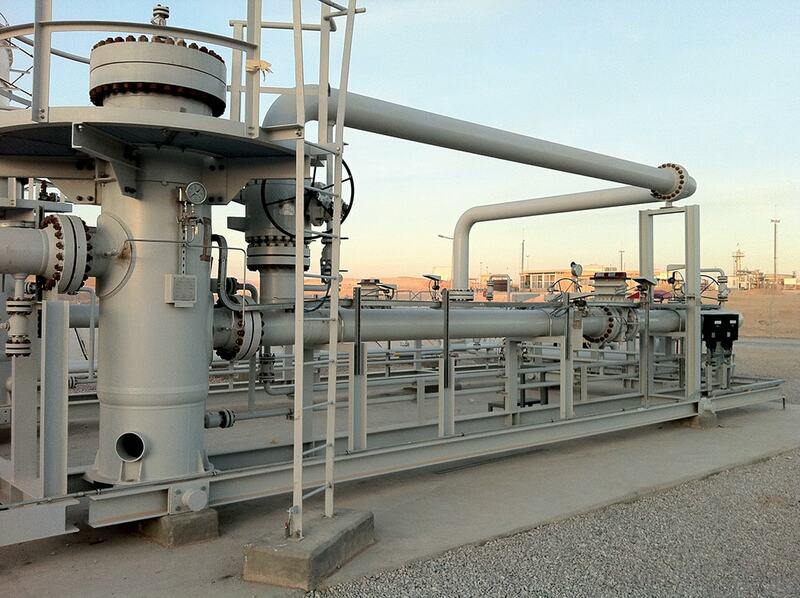 CEBA metering systems are a proven solution to minimize risk, improve accuracy and reliability. Our engineered solutions are based on the latest technologies in order to satisfy the application and operational requirements according with the latest international standards. The metering skids are designed for simultaneous and continuous analysis of the quality and quantity of fluid being transferred in a pipeline. They are normally equipped with prover or master meter on line site calibration and with on line sampling system for oil quality control. CEBA design Custody Transfer Systems, that are highly accurate metering systems to transfer petroleum or any other fluid product between two owners. These systems are engineered to maintain extreme accuracy while pumping hundreds of gallons of product per minute. Depending on the application, CEBA can design metering system on all kind of custody transfer metering principles, volumetric and mass flow meters as well. 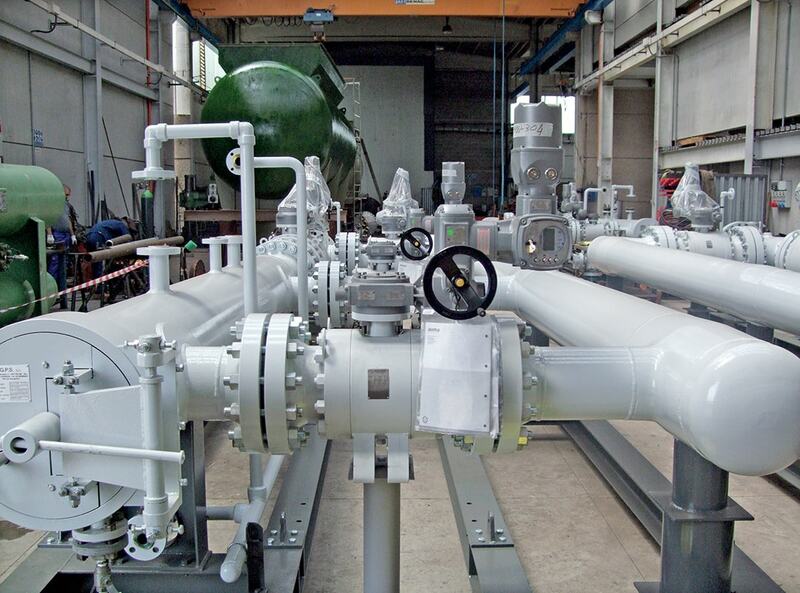 Precise measurement of natural gas, crude oil, alternative energy fluids, gaseous products and other fluids during custody transfer is critical for the process. Variations in temperature can lead to changes in density that if not monitored and adjusted during measuring process, can cause massive monetary losses in time. CEBA provides turnkey flow metering systems complying with international code as API MPMS 04 from 01 to 08, API MPMS 05 from 01 to 08, API MPMS 06 01 and 02, API MPMS 08 01,02, and 9, OIML R117 on Liquid application and AGA 3,7,9 and iso5167 OIML R117 on gas application. 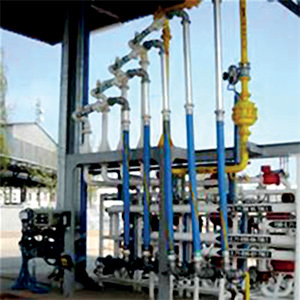 The supply includes flowmeters (selected according to application, customer vendor list or country metrology requirement), valves, piping, instrumentation for flow compensation in temperature and pressure and supervisory and flow computer systems including flow computers, control panels and customer interfaces. CEBA can also supply quality measurement systems; they can be in line fluid analyzer up to complete metering houses with sampling system, analyzer systems, density, viscosity and gas composition. 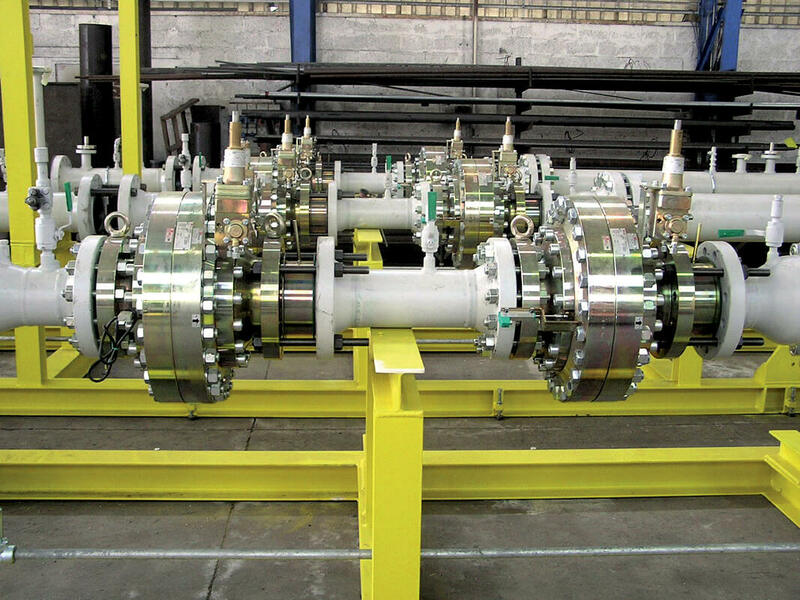 CEBA is among the few company that can supply pipe prover of its own design and construction for site calibration and verification of metering skid. 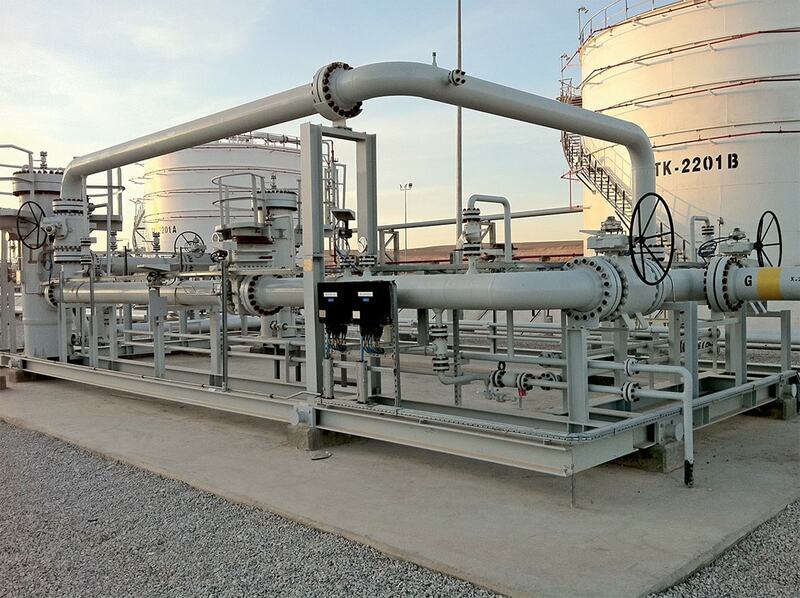 The scope of these stations is to launch or receive the pig, required to control pipeline shape and condition. 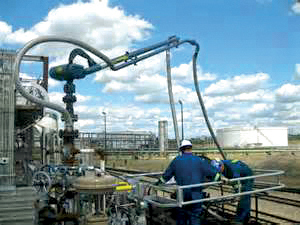 CEBA provides full range of Launching/ Receiving station, from the supply of simple barrel pig launcher and receiver to the complete unit skid mounted including all the relevant equipment such as actuated valves, kicker line, burred tee, quick opening closure, instrumentation, pig signaler and including the pigs handling tools like half pipe and jib crane. The CEBA pig launcher and receiving systems can be used for both Gas and Oil pipeline and cover size from 2" to 60" and pressure up to 400 barg; they are designed for installation in on shore, off shore and even in the subsea pipeline. Remote locations of crude oil wells require transport by rail or tank trucks to storage, railcar loading or pipelines to get product to market. Truck Loading Systems are used to fill crude oil, LPG, NGL, or any other fluid or gas from a tanker truck. The transportation and marketing of petroleum liquids involve many distinct operations, each of which represents a potential source of evaporation loss. CEBA provides truck loading solution that ensure an accurate measure of the product and that are fully customizable in order to satisfy the clients' specific applications or needs. Truck loading systems are designed and fabricated in-house with the latest 3D modelling software and according to all international standard and safety code.